The Octopus is definitely one of our favorite marine creatures to study. These organisms possess an amazing intelligence capable of solving complex problems and can actually mimic the appearance and behavior of other marine animals. During a recent study of these fascinating denizens of the deep we stumbled upon this hands on activity which provided us with the chance to have some fun and learn about our mysterious friend at the same time. This is a project that is easy to complete but also provides the student (both young and old) with the opportunity to improve on the original design by adding additional features or providing greater detail or anatomical accuracy. I always reinforce to my students the idea that when it comes to evaluating the success or failure of an individual's project I am focusing on effort and creativity and not on whether the student's creation could be mistaken for the real thing. Step One: Take a piece of construction paper and trace a 4 inch circle. We used a discarded CD ROM disk which gave us an easy template for a perfect circle. Use your scissors to cut out the circle. This will be the base of your octopus head. 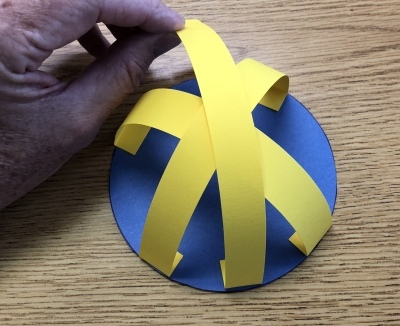 ​Step Two: Take a new piece of construction paper and measure 8 - 10 strips approximately 3/4 inches across (not lengthwise). 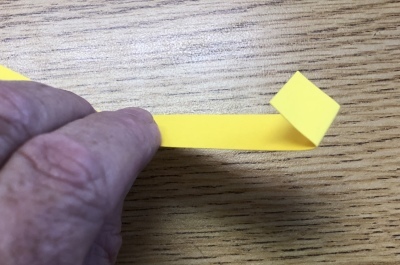 Use your scissors to cut out these strips. You can also use a cutting board to make perfect strips and to reduce some of your construction time. Step Three: Take each of your strips and bend the ends approximately 1/2 inch. 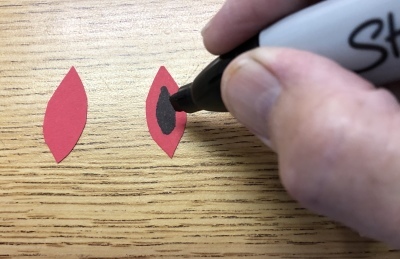 These ends will help secure the paper strips to the base in the next step but it is important to make each of your bends as uniform as possible. 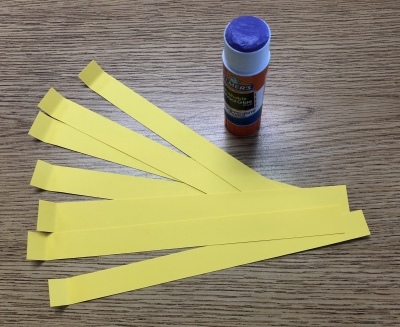 Step Four : Use your glue stick to secure each of the strips to your base. Its best to glue one of the strip as close to the edge of the base following a symetrical pattern. It will make a difference with the overall appearance of the octopus head as you will discover in the next step. Complete this step until your head is complete. 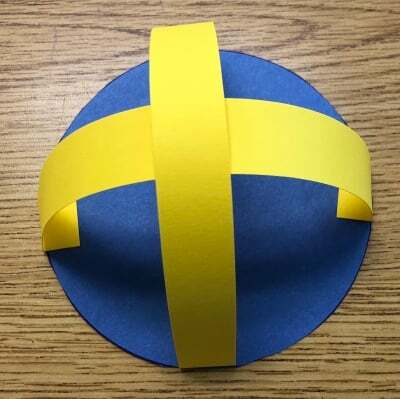 Students can use contrasting or uniform colors of construction paper depending on personal preference etc. Step Five: On a separate piece of construction paper draw the outline of eight (8) tentacles or arms. There is no precise pattern and it is really up to the student to follow the design of their choice. Cut out each tentacle and then use the glue stick to secure the tentacle to the underside of your head. Step Six: Take a piece of srap construction paper and cut out two eyes for your octopus. 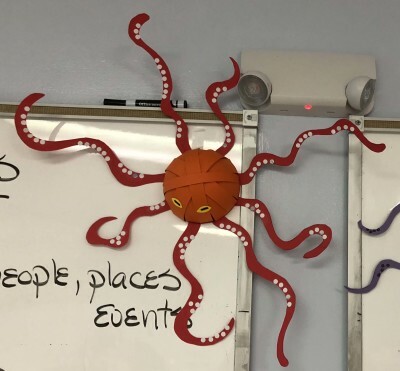 Octopus have rather unusual shaped eyes but students should feel free to personalize their projects accordingly. We used a Sharpie to fill in the iris and then glued our eyes to the head. 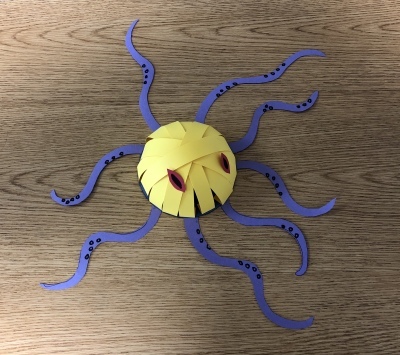 Once you have completed construction of your octopus, students can feel free to add more details such as suckers, beak etc. The important thing is to have fun!